Soil pH is a major, variable growth factor in natural and agricultural soils. Although many soils are naturally acidic, agricultural practices industrial processes and mining promote soil acidification. Proton (H+) rhizotoxicity arrested root growth in various plant and exerts its toxic effect by reducing the nutrient availability, disrupting the plasma membrane H+-ATPase activity, disturbing metabolic process, producing reactive oxygen species (ROS), and upsetting the antioxidant defense system. High activity of the H+ in the external growth medium exceeds the ability of the cell to maintain the cytoplasmic pH and stops the normal growth of the plants. Acidic condition in plant growing medium also disrupts the water uptake of plant. Another problem in the acidic soil is associated with phytotoxicity from Al, Mn, and Fe; those can exert detrimental effect on plant growth and development. Although some plant species evolved to survive in areas of low soil pH and can tolerate the acidity of soil, their number is very limited and productivity is very low. On the other hand, the diversity relationship between soil pH and plant is mostly negative, when its evolutionary center any plant species located on high pH soils, that species is more susceptible to acidic pH; hence, this phenomenon should be well considered. However, the mechanism by which the acidity (H+) exerts toxic effect on the plant species is still unclear, and only few researches addressed the effects of external pH change on plants. In addition, how some species can tolerate the low pH demands further researches. 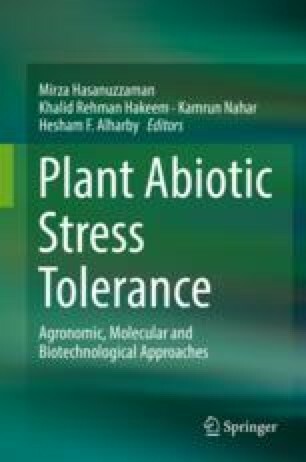 Hence, this chapter reviews the mechanism of damage under acidity (H+ rhizotoxicity) stress on plants, and also the recent approaches to improve growth and productivity under acidic condition, from the available literatures.